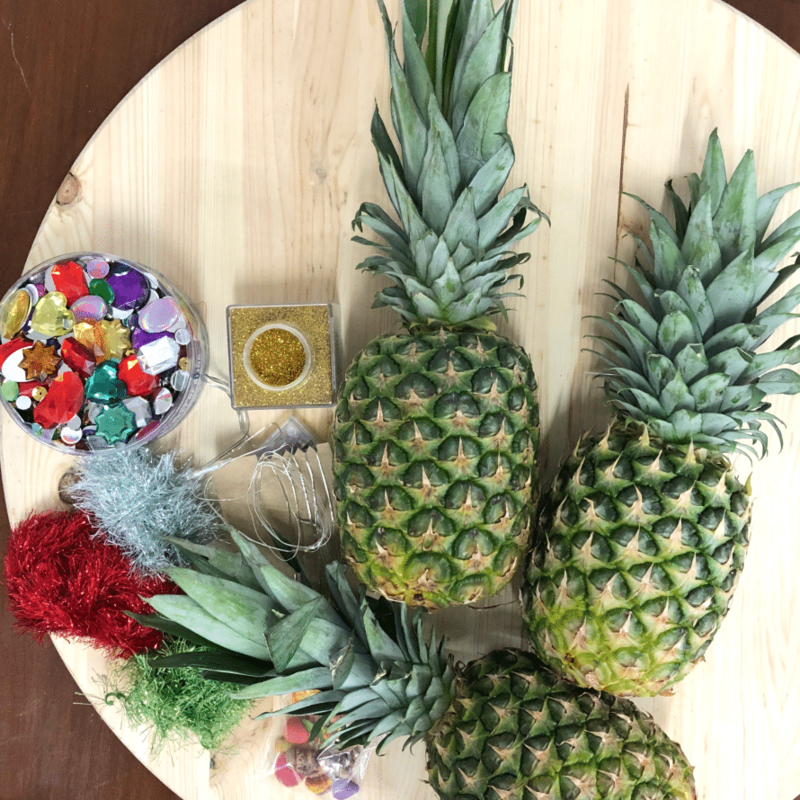 Have You Made a Pineapple Tree Yet? What the wha? 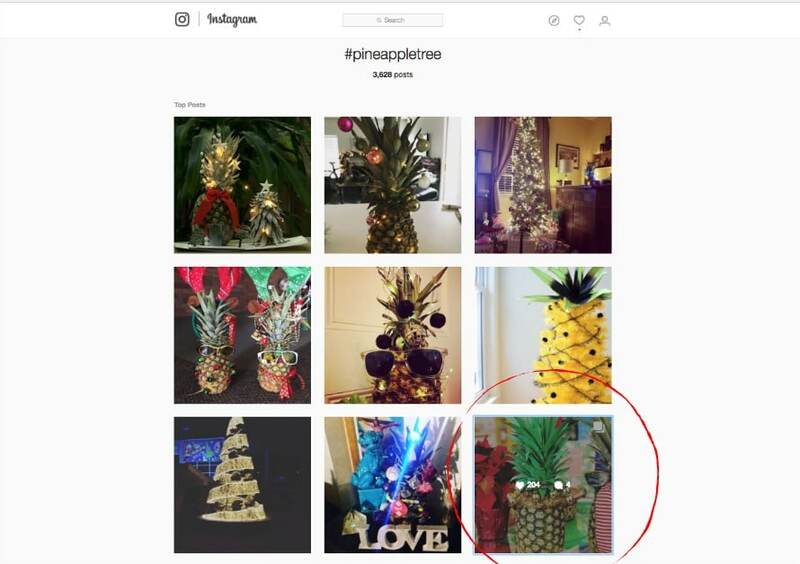 A pineapple tree? Why? 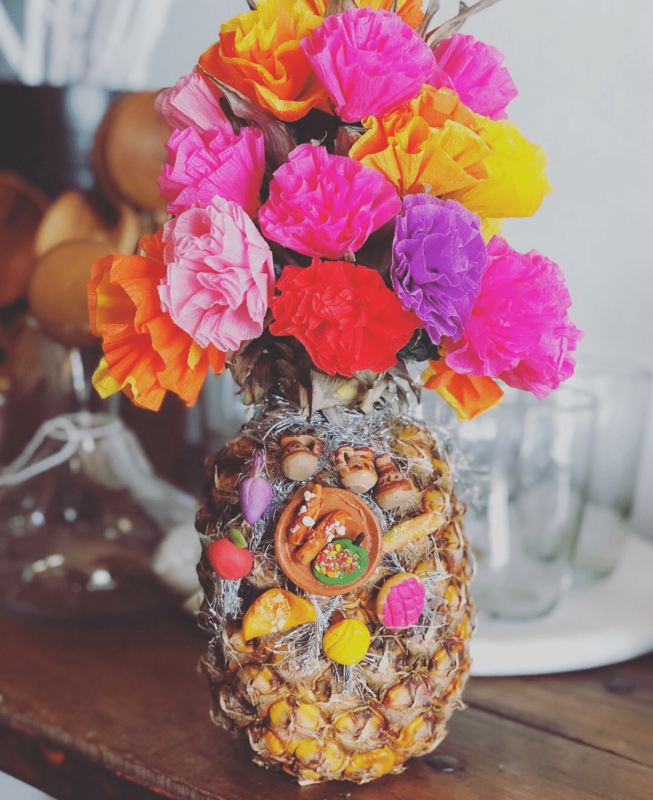 Did you know this is a popular holiday craft? 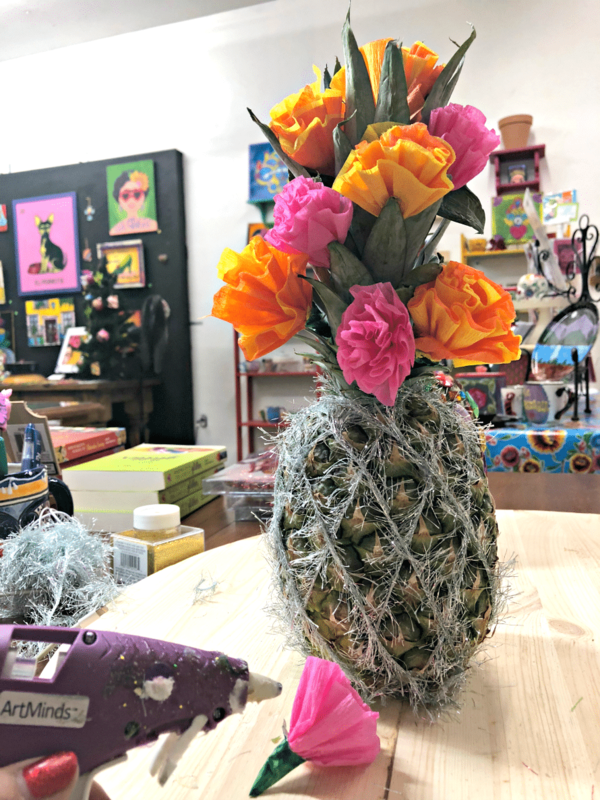 It seems like every week there’s a new article proclaiming “The Pineapple Tree Is The Hottest Holiday Trend!” The Today Show calls it the “Christmas Pineapple.” Regardless, these are a lot of fun to whip up. And you can use them for so many things, as hostess gifts, party favors, a craft night. And then, if you decorate them smartly, you can cut them up and eat them! 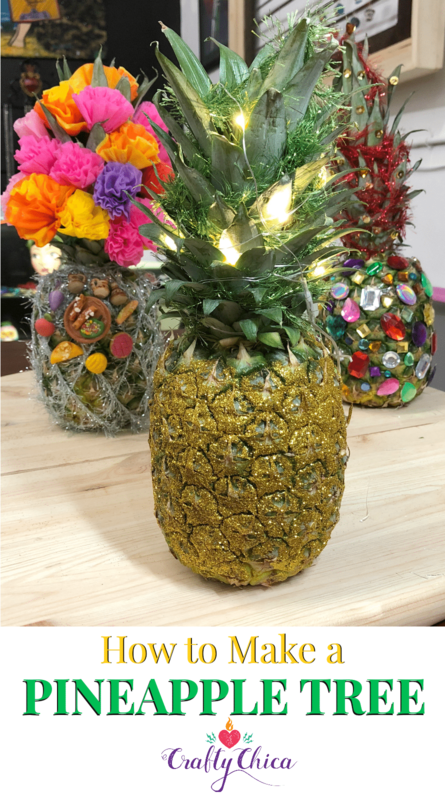 It’s beachy, it’s spikey, it has places to hang small golden bulbs. It’s cool! 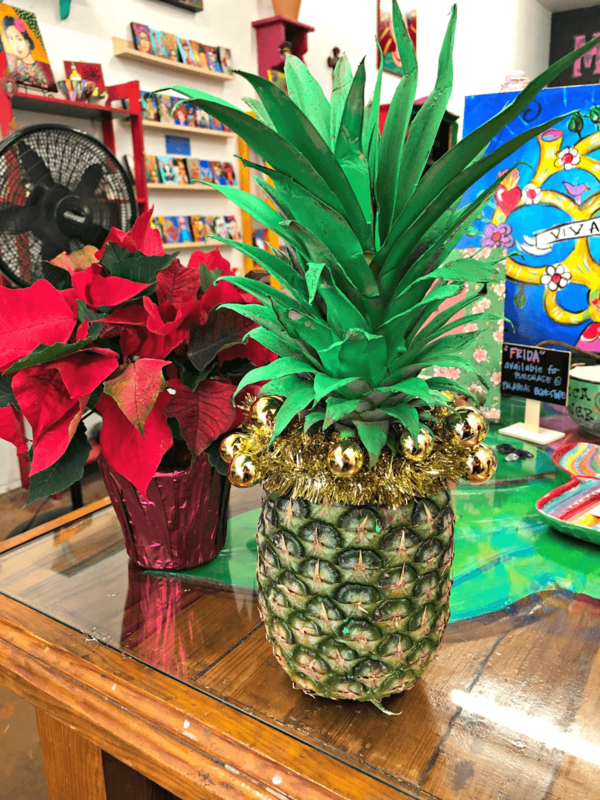 As soon as I heard about this and saw the variety of decorated pineapples, I went to town making my own. 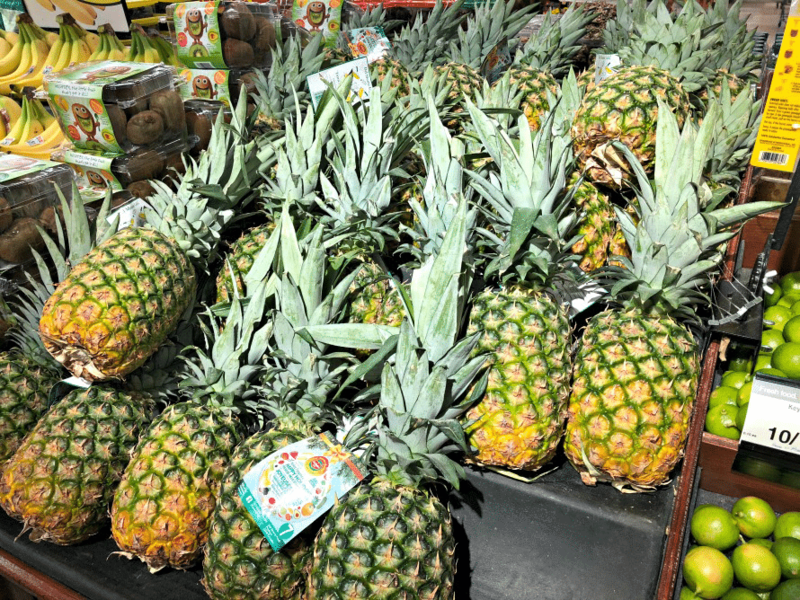 Funny story – I went into the grocery store and chose five of the prettiest piñas I could find. There in the decorated shelves of tinsel, candy canes, and eggnog, I placed them on the conveyor belt at the checkout line. CASHIER: Oh, what are you making with these? ME: I’m making Christmas trees! CASHIER: *Deadpan look* Oh. Okay, then. Your total is $8.49. I wanted to say, “I’m not crazy, look, it’s a thing!” And hold up my phone to show her the hashtag on Instagram, but I had a line of hungry shoppers behind me, so I just took my bags and scrammed. Here’s what I pulled together. 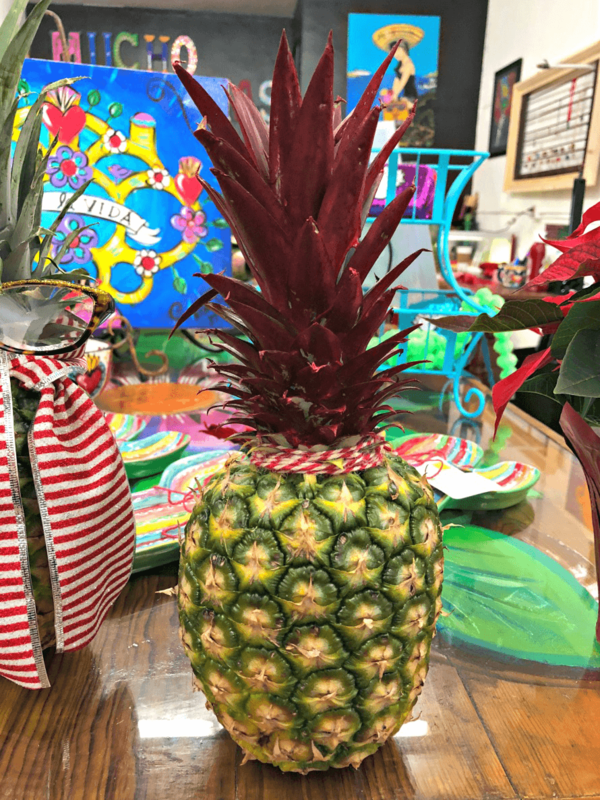 Look for pineapples that that long stems and sit up nice and straight. I didn’t really have a plan, I just started gluing! I went a lil crazy with my sparkle yarn. I ended up removing this because it looked like a spider web! I made little tissue flowers and inserted them between the leaves. This one was made by Jaime Cerreta from News Channel 3 (I did a segment!). I painted the leaves a bright green and she wrapped the gold tinsel around the top. So cute! Here is one Emily made, she painted the leaves gold and inserted holiday bling from top. 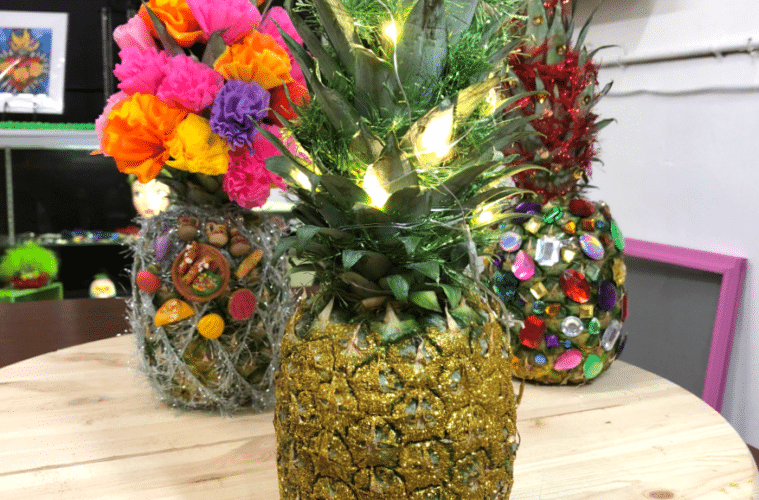 Have you made a #PineappleTree? We did! We made several for the shop, this one is by @emcostelloart, it came out so pretty! She painted the leaves gold, then added glitter and embellishments! 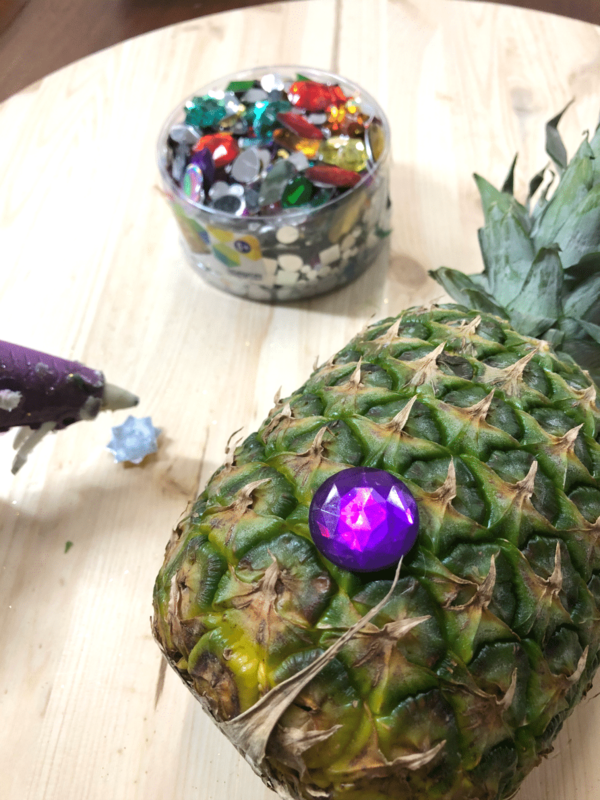 TIP: Use a dry glue, dots or hot glue. The surface is very bumpy, wet glue didn’t work for me. So are you going to try this or what? Guess what? One of ours is in the top posts on Instagram! This is … different… maybe it will grow on me. 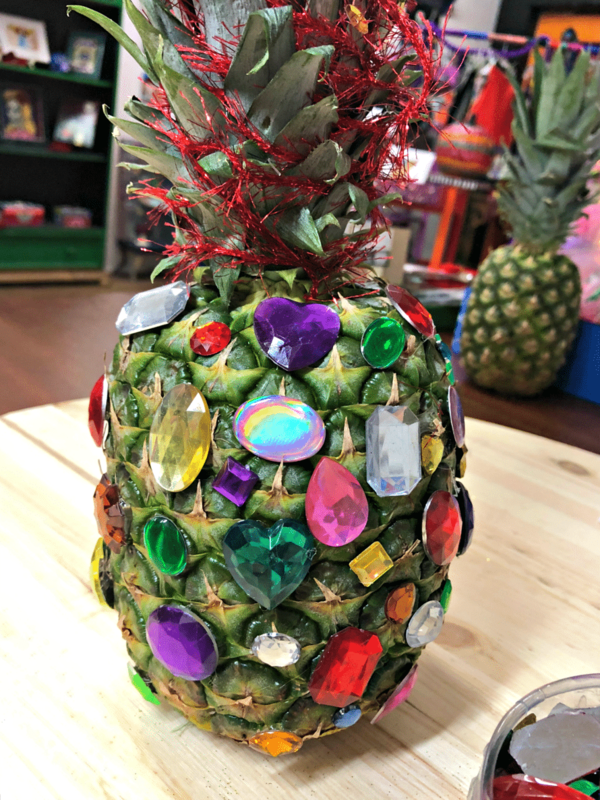 I do love a good pineapple, though.